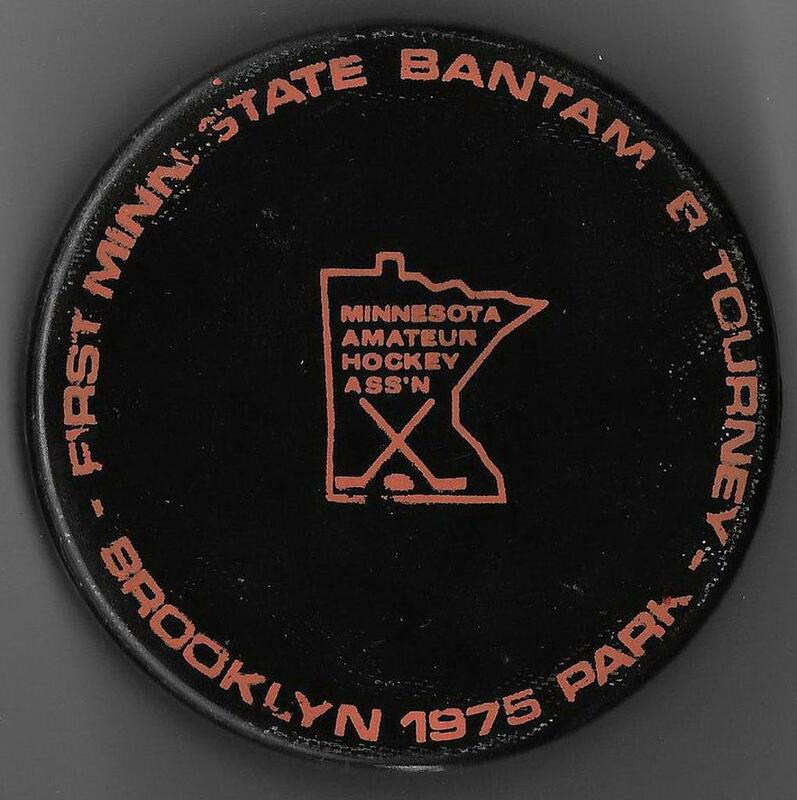 The Northland Community Arena was formerly located at 7624 Boone Ave. North in Brooklyn Park, MN located on a 156-acre commercial and industrial parcel of land adjacent to Hennepin Technical College campus. 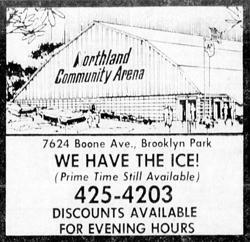 Northland was a privately owned ice arena built by Northland Park group/Northland Development Company of Minneapolis, MN., and President James C. Stuebner. 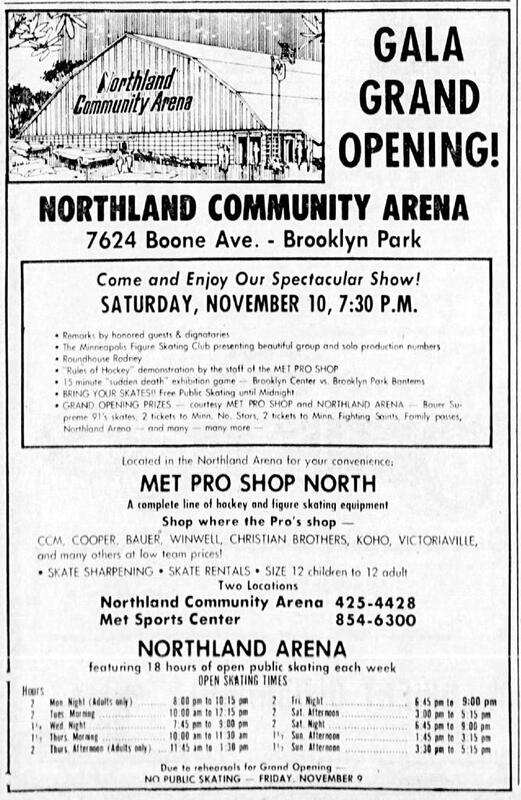 Arena construction began in early June, 1972 at a cost of $800,000, with an opening in early October of 1973. Northland featured an NHL regulation size 200 x 85 ice sheet, deluxe spectators lounge with snack bar, and Met Pro Shop. 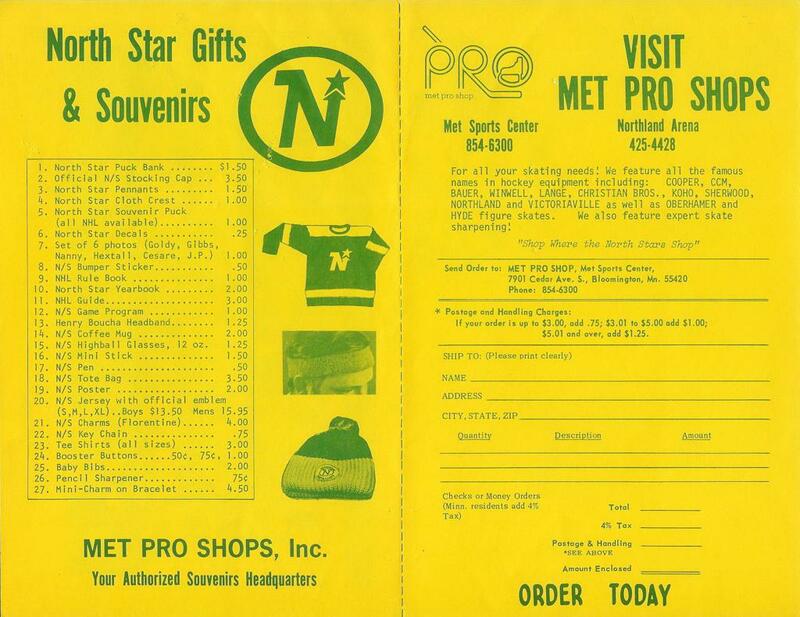 The grand opening celebration held held Saturday November 10, 1973 with several honored guests and dignitaries present for the ribbon cutting celebration, an on-ice Minneapolis Figure Skating Club rehearsal took place, followed by a 'rules of hockey' demonstration by staff at Met Pro Shops, capped off by a 15-minute sudden death exhibition Bantam game for visiting fans between local Brooklyn Center & Brooklyn Park. 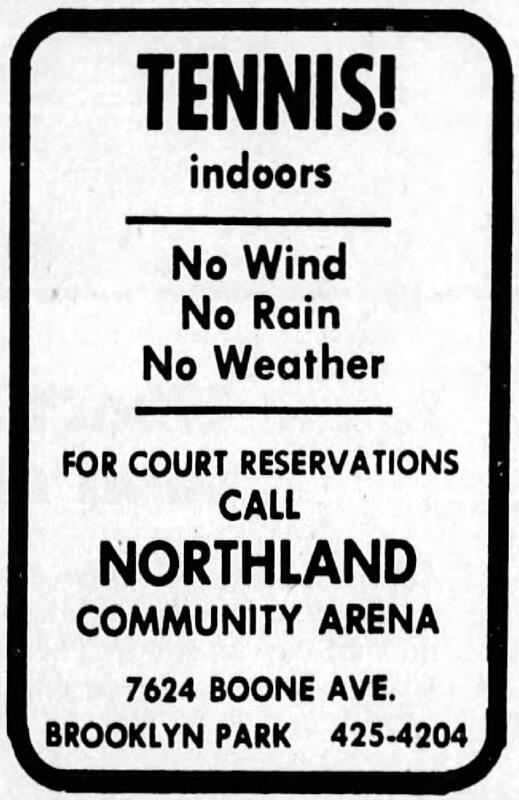 Northland boasted seating for 2,000 spectators for ice events, and 5,000 for non-ice shows. 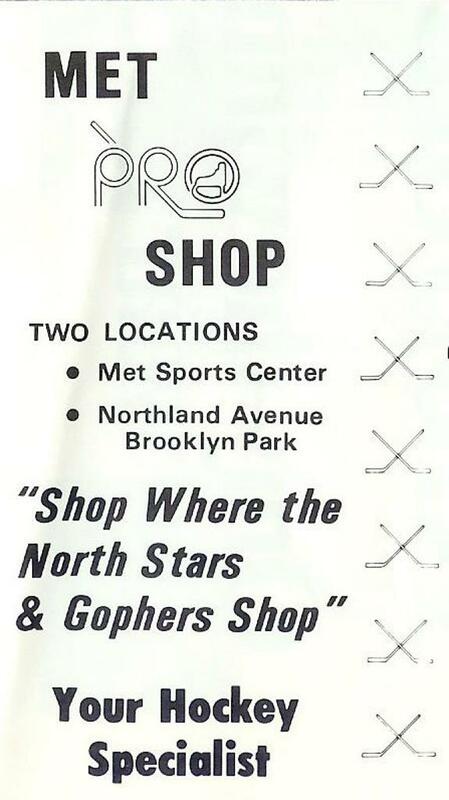 Locally owned Met Pro Shops - which was later renamed Met Pro Shops North with the stores first location inside of Met Center Arena - home of the Minnesota North Stars, had a interior store within Northland offering sales and rental of finest equipment, and on-site skate sharpening which was well ahead of it's time for a youth arena. 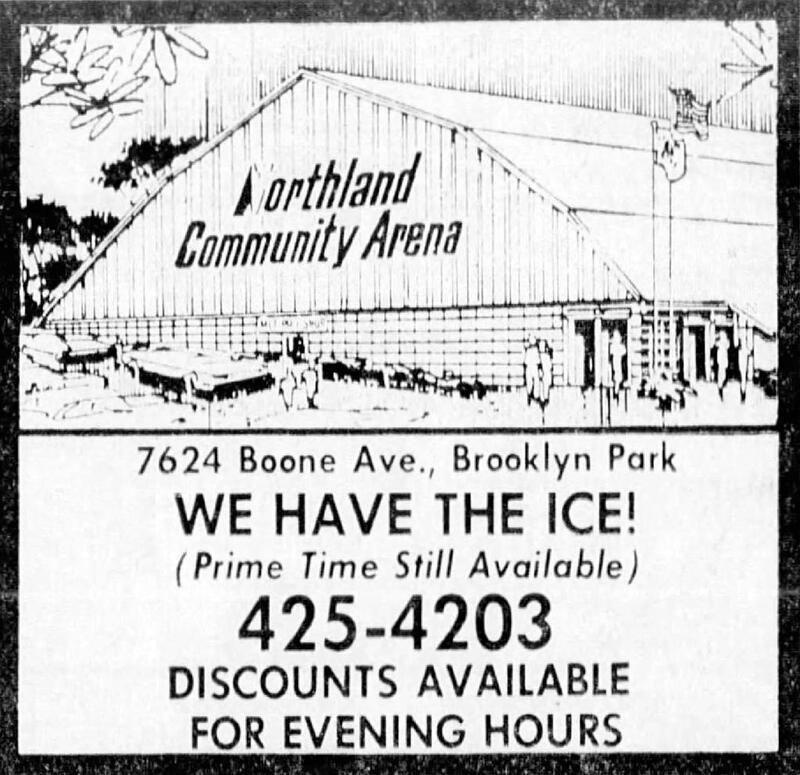 Northland Arena initially was made available for local high school hockey teams in the Brooklyn Park and Robbinsdale area, youth hockey programs - and nearby Osseo School District 279 as it's first tenant - contracted for 235 hours of ice time for the 1972-1973 season for use mainly by the district's two high school hockey teams. 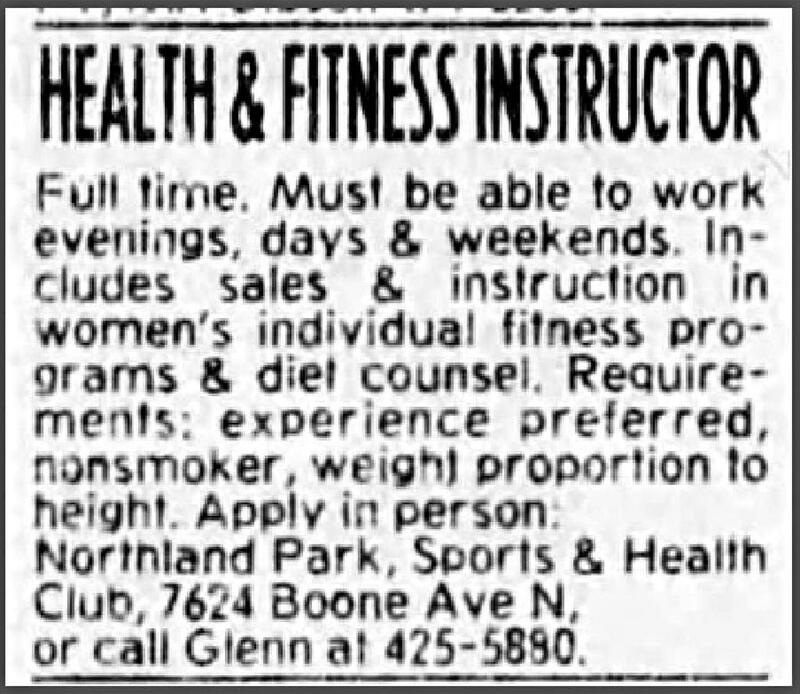 Local figure skating instruction and community open-skating additionally rented ice within the building. 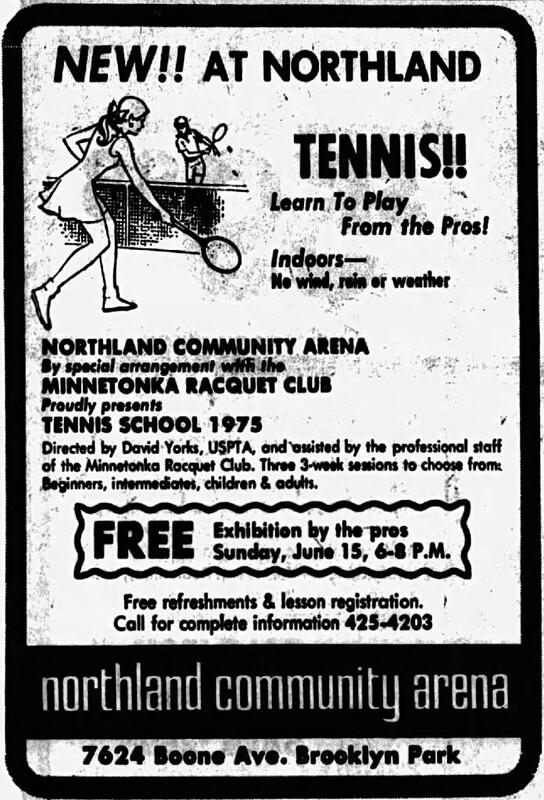 The arena in the off-season was made convertible for non-ice special events and quickly became a hot-bed for tennis enthusiasts, with several tennis pro instructors calling Northland home. 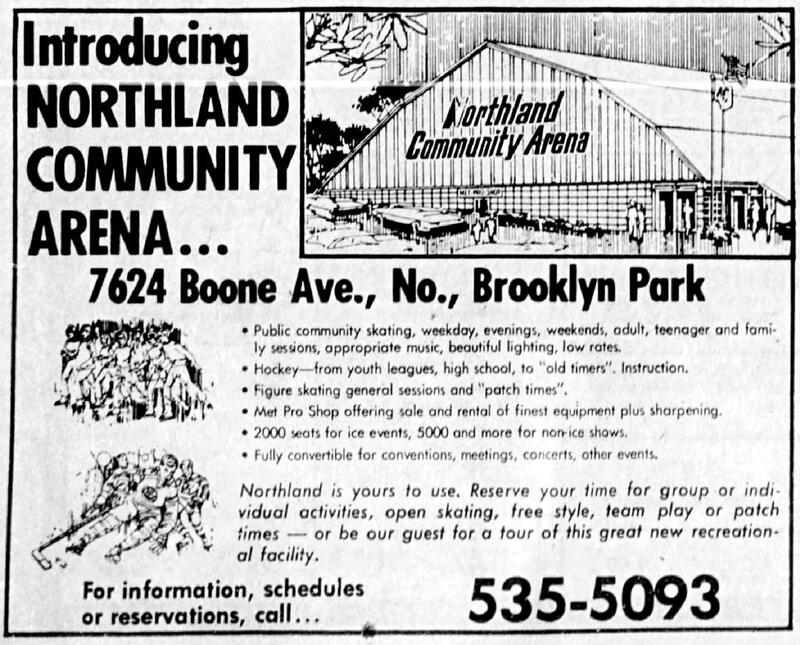 In July of 1975, two-years after Northland Group opened it's doors, financial issues that plagued the arena began when officials from the Group, approached the City of Brooklyn Park for a proposal to consider purchasing the building for a listed cost of $1.7 million. 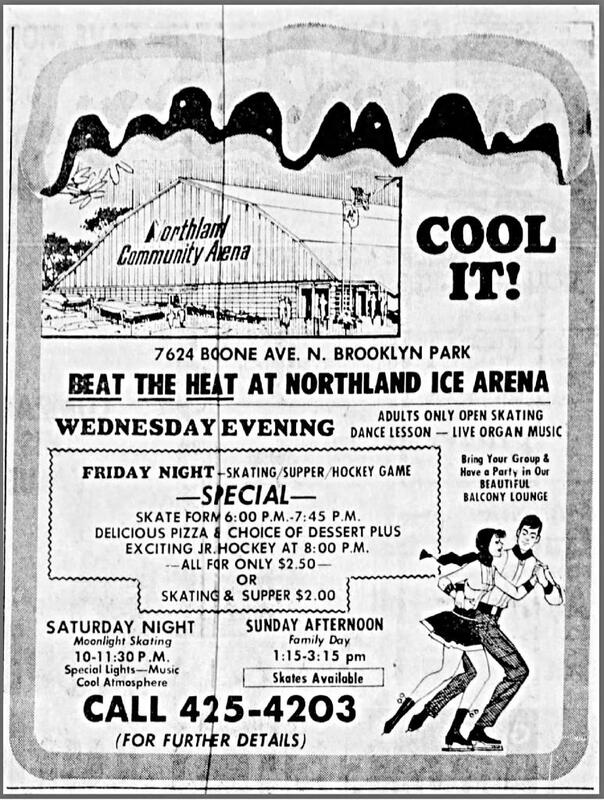 According to then city Mayor James Krautkremer; "it's difficult for a private group to make a profit on an ice arena". The City Council referred the proposal to the Brooklyn Park advisory commission and its capital long range improvement committee for review by September of 1975. Krautkremer said the matter was expected to be discussed at a Council meeting, and stated "there is a good possibility it will be taken to the voters on November 4 general election ballot". 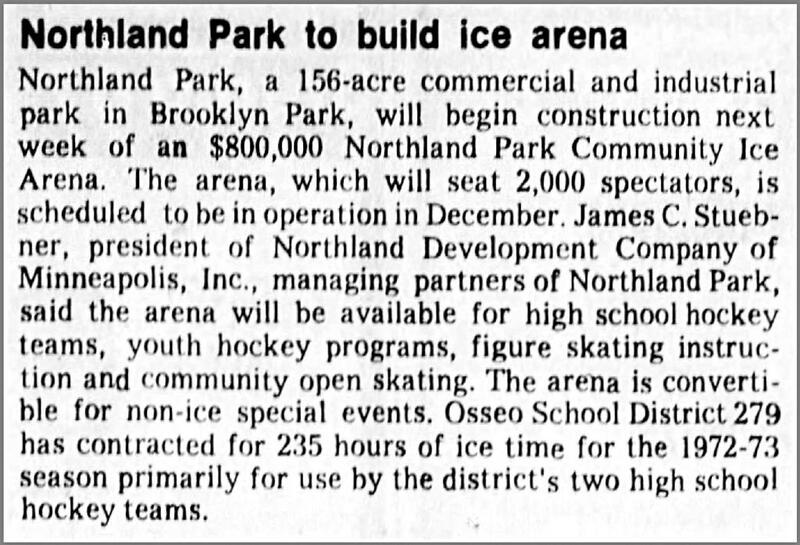 This proposal was voted down by voters, and also an earlier proposal for the city to borrow $500,000 to build a 500-seat ice arena in Brooklyn Park was previously defeated in April of 1972 by a slim 717 to 711 vote. 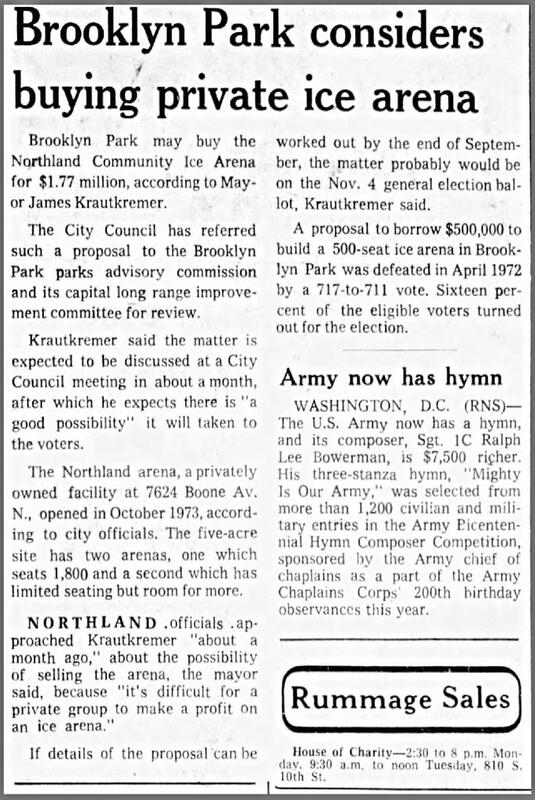 Again, in February of 1976, without taking immediate action the Brooklyn Park City council again heard a proposal that would give the Northland Arena to the city. 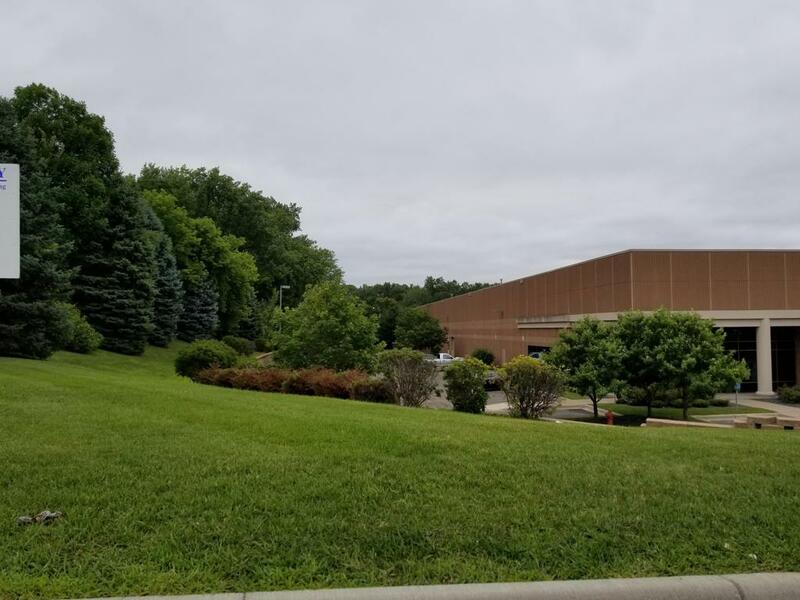 Under the new proposal, the Northland Group would sell the land, buildings, equipment and customer contracts to a non-profit corporation to be formed and named the Brooklyn Park Arena and Recreation Center. 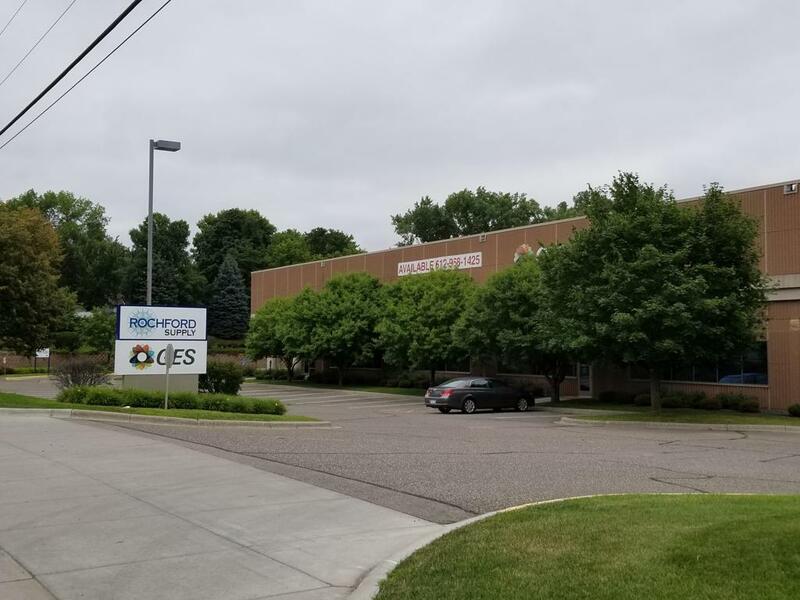 James Stuebner said the firm would convert the building into an office and warehouse if the city rejected this last proposal and Northland would retain ownership. With the city as a five-year managing partner, the new corporation would issue a tax-exempt municipal bond that the city was not asked to back. 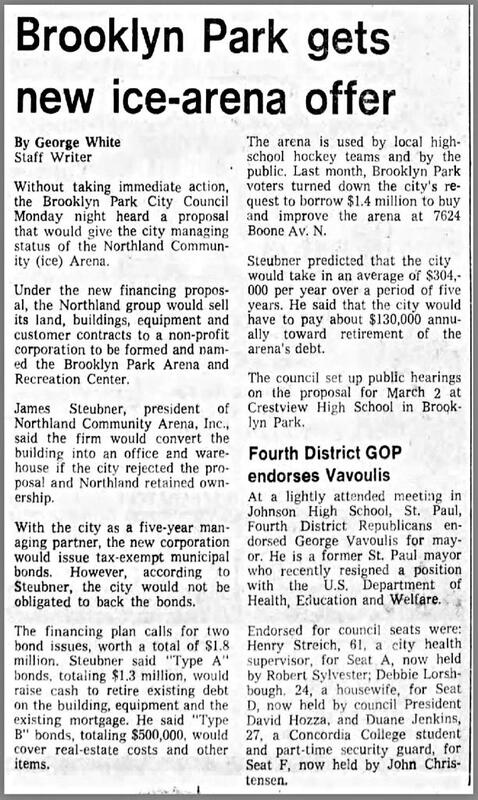 Steubner predicted that the City of Brooklyn Park would take in an average of $304,000 per year over a period of five years, and said the city would have to pay about $130,000 annually toward retirement of arena's debt. 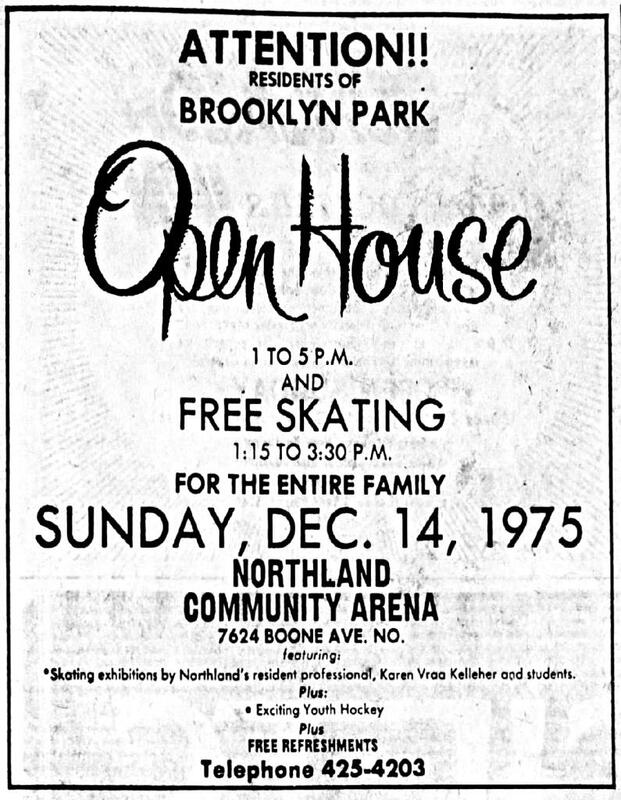 The city never purchased the Northland Arena, and history now shows that the City of Brooklyn Park later built an indoor arena for both communities of Brooklyn Park (Pirates) and Brooklyn Center (Centaurs) calling the arena home, that is connected today to the City Community & Activity Center. 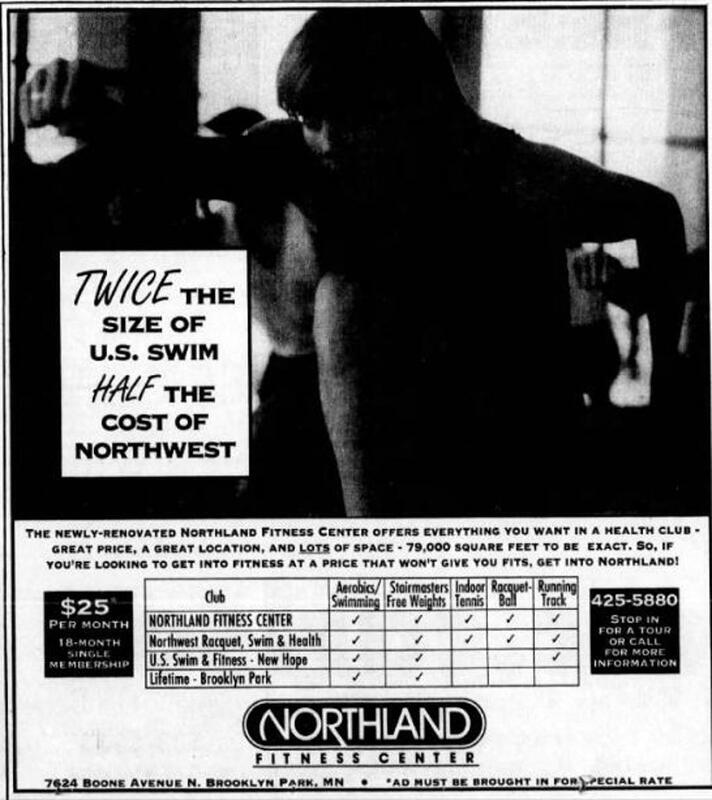 It is unclear to us when the Northland building ice demise took place, and was removed for good within this plagued financial arena from it's onset. 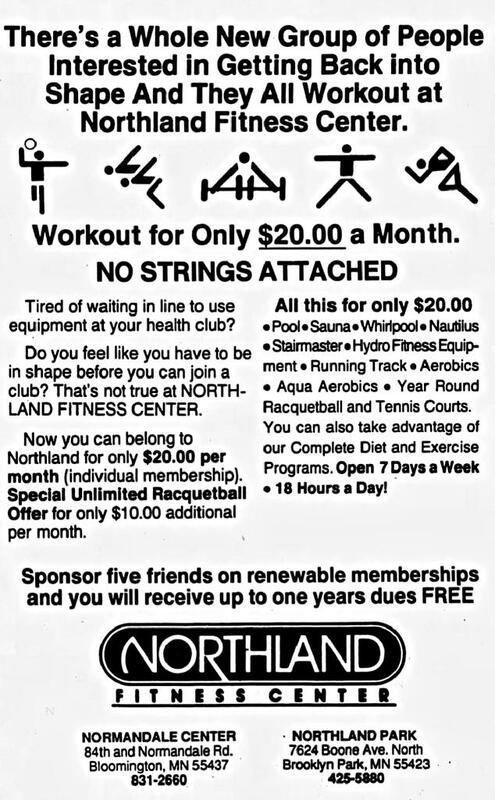 To Vintage MN Hockey knowledge; we know it later housed Northland Fitness Center during it's last several years, that remained a popular indoor tennis facility through 1995 before the building was demolished. 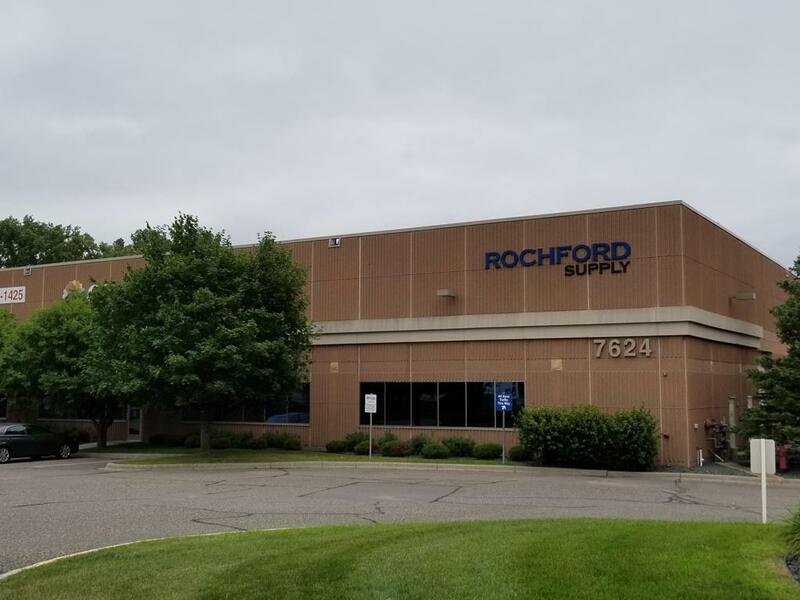 Today, the area where Northland once stood houses both nearby residential and warehouse buildings with Rochford Supply located directly on former Northland property.